No. 1 Kentucky beat No. 16 Western Kentucky 81-65; No. 8 Iowa State 87-71; No. 4 Indiana 102-90; No. 3 Baylor 82-70; No. 4 Louisville 69-61. Freshman Anthony Davis lived up to his billing as national player of the year with 18 points, 14 rebounds and five blocks in the win over Louisville. He was 7 of 8 from the field and added to his personal highlight reel with a one-handed dunk off an alley-oop pass and a flying leap off the court and over a row of media. One real positive was the way he called for the ball in the post in the second half as the Wildcats struggled from the perimeter. This will be John Calipari’s second championship game. His first was with Memphis four years ago – an overtime loss to Kansas and coach Bill Self. Calipari’s strategy of not fouling with the lead before a 3-point shot could be attempted was questioned as Mario Chalmers buried a late 3 to tie the game and force overtime. Calipari did win the last meeting against Self, 75-65, at Madison Square Garden in the second game of the season. Kentucky’s roster is still loaded with NBA-level talent, but the Wildcats didn’t look like the offensive juggernaut it had been throughout the NCAA tournament, failing to reach the 80-point mark for the first time. But the defense was just as good, if not better, holding Louisville to 34.8 percent shooting from the field, a stat the Wildcats led the nation in this season. One player who will be looking to make amends will be freshman Michael Kidd-Gilchrist who was limited to 23 minutes because of foul trouble but still managed a couple of big dunks as the Wildcats took control in the final minutes. No. 2 Kansas beat No. 15 Detroit 65-50; beat No. 10 Purdue 63-60; No. 11 North Carolina State 60-57; No. 1 North Carolina 80-67; beat No. 2 Ohio State 64-62. Thomas Robinson took over the semifinal in the second half, finishing with 19 points and eight rebounds. It was his presence inside that allowed the Jayhawks to finish with a 42-30 rebound advantage and stymied Ohio State’s frontcourt of Jared Sullinger and Deshaun Thomas, who were a combined 8 for 33 from the field. This matchup pits him against Davis, his competition for national player of the year. Bill Self has a chance to join the select group of multiple championship coaches. He is 3-0 in his two Final Four appearances, and the latest win looked a lot like the Jayhawks’ others in this tournament – they found a way to win. Not much of a spotlight grabber, Self is considered one of the best in-game coaches, and his teams are known for the ability to shake off a poor first half, usually with a better defensive performance. Robinson did what is expected of him in the win over Ohio State; 7-foot center Jeff Withey had eight rebounds and seven assists; and Elijah Johnson added 13 points and 10 rebounds – a big effort from the guard who doesn’t get most of the attention. Tyshawn Taylor, the guard who’s considered Robinson’s co-star, had 10 points and nine assists. He also had five turnovers – including a potential devastating one with 3.8 seconds left – and was 0 for 3 from 3-point range, leaving him 0 for 20 from beyond the arc in the tournament. These are the two winningest programs in college basketball history. Each has an all-America big man and guards capable of taking over a game. The coaches are on most short lists of the best in the sport. This game has all the angles covered. Come on, what more do you want? Most of the bracket sheets that haven’t been shredded still have Kentucky, the overall No. 1 seed, winning it all. The dream scenario would be for Kentucky to have a slim lead with the clock ticking down. The flashbacks to San Antonio in 2008 would be popping into everyone’s mind. Why not the same result? Kansas 73-71. 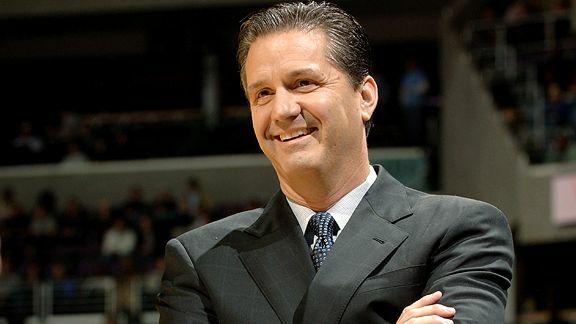 Did Rick Pitino help John Calipari get his first head coaching job? Are you ready for Calipari versus Pitino? If you wanted to get serious about budget cuts then why not eliminate the Dept of Education. These budget cuts mentioned below in the budget are just peanuts. We should have meaningful budget cuts that would BALANCE THE BUDGET. 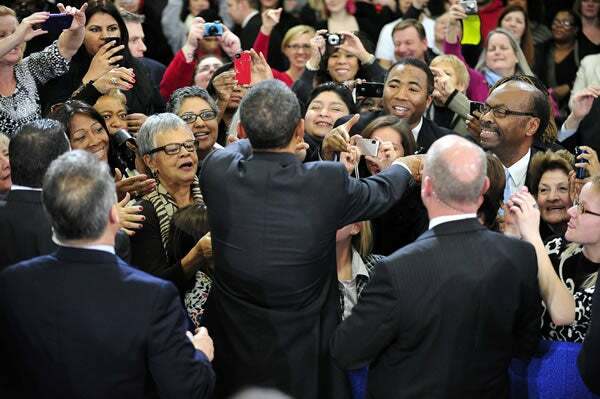 The president’s fiscal 2013 budget includes a 213 page document that contains 210 proposed cuts, consolidations, and other savings. That sounds like a lot until one finds out that the alleged savings would only amount to $24 billion in a $3.8 trillion budget. Not only would the cuts do little to reduce the size of government, they would do nothing to reign in the scope of government. The administration proposes to cut funding for the Department of Health and Human Service’s Community Services Block Grant program from $679 million to $350 million. The administration cites reports from the HHS inspector general and the Government Accountability Office that “have documented failures in program oversight and accountability.” However, instead of proposing to completely terminate it, the administration says it’s going to fix the program and basically apologizes for having to cut it to meet discretionary spending caps. The administration proposes to cut funding by $226 million for fossil fuel subsidies administered by the Department of Energy. These subsidies should be eliminated. But they should be eliminated along with all energy subsidies because the federal government should stop trying to pick winners and losers in the energy market. Unfortunately, it appears that the administration is really only interested in scoring political points with the “green” crowd. The administration proposes to save a whopping $3 million by terminating the U.S. Department of Agriculture’s public broadcasting grant program. The administration correctly points out that the program is duplicative of the Corporation for Public Broadcasting. However, the CPB would get another $1 million in funding for an overall budget of $445 million. In other words, the proposed cut would have practically no effect on the federal government’s subsidization of PBS and NPR. I could go on and on with examples but there’s no point. A glass-half-full type might say, “Well, at least the administration is proposing to cut something.” Unfortunately, the glass is nowhere close to being half full – it’s empty. The administration’s relatively paltry savings would still leave the budget with a projected deficit of $901 billion for fiscal 2013. And the deficit would only be smaller than last year because the government is projected to take in more revenue – not because the government would spend less. Worse, the federal government under this budget would continue to be an intrusive, metastasizing cancer on individual liberty and the economy. On several occasions this season, Kentucky Coach John Calipari counseled fans not to root against any other team. “Even Duke?” one caller to his weekly radio show asked. And even archrival Louisville, which plays Kentucky on Saturday in the national semifinals, would be best viewed dispassionately. To root against a team is to risk a cosmic balancing of the scales, the UK coach said. Fate could be cruel in a boomerang kind of way. “I just don’t think it’s good that you root against other teams,” Calipari said in Thursday’s Final Four interview session. “I just think if you start rooting against another team and you’re a fan of ours, turn the TV off. Walk to the other room. Make yourself a coffee. And go for a walk with the dog. Do something. Unwittingly or not, Calipari, a practicing Catholic who also attends a Methodist church on Sundays, follows a Buddhist path by stressing performance rather than purely victory. Safe to say, UK fans are result oriented, especially so Saturday. How would a Buddhist view UK fans? The Reason Calipari would leave Kentucky!!! If Calipari had stayed at Memphis he could have won a national championship earlier!!! Let us take Brummett’s conclusions and see if that is the type of world that we want to live in. Mark Darr wants to “free poor people to navigate amid the lower taxes and unfettered commercial enterprises.” I wonder what that would be like? I love Milton Friedman’s film series “Free to Choose,” and if Mark Darr is the Tea Party type that John Brummett fears then he supports the type of world pictured by Milton Friedman. In that film series over and over it is shown that the ability to move from poor to rich is more abundant here than any other country in the world. This article below reminded me of that that. Are Poor Really Helpless Without Government? Do proposed cuts in federal programs threaten to deny the downtrodden any chance for “a meaningful and productive life,” as claimed by one of the most prominent progressives in Congress? The question is preposterous and the answer is obvious: long before Washington created such programs, millions of underprivileged citizens found ways to climb out of poverty and to build decent homes and brighter futures for their families. This outrageous accusation led Representative Alan West of Florida, one of two African-American Republicans in the House, to threaten to remove himself from the Congressional Black Caucus. But while Carson’s office refused to apologize and stood behind the admittedly “strong language” in the charges of murderous Tea Party racism, their defense actually compounded the problem by insulting not just conservative activists, but smearing every American who receives federal assistance. To suggest that budget cuts would leave them “without the ability to improve their economic standing” suggests that recipients of government aid aren’t just “vulnerable” but helpless. In other words, the many children who currently lack these advantages (despite lavish federal funding for programs meant to provide them) might as well give up, not only abandoning efforts to compete with kids from more fortunate backgrounds, but also renouncing all hopes for a life worth living. Fortunately, Carson’s own grandmother – the late Congresswoman Julia Carson – never accepted that message. Born in Kentucky in 1938, long before the Civil Rights revolution or the costly Great Society programs her grandson now defends, she worked her way up to a job as a secretary in a union office, and then won a position in the Indiana Legislature. On most occasions when Democrats and Republicans fight over the value of federal anti-poverty efforts they argue about the effectiveness of these programs. Many conservatives believe that these well-intentioned initiatives often do more damage than good because they foster a sense of dependence and discourage individual initiative and accountability, while most liberals insist that government plays a useful role in assisting the poor. But Carson’s statement suggesting that disadvantaged families are hopeless and helpless without Washington’s sustaining, life-giving hand–that they can’t possibly move ahead on their own without federal intervention–conveys a dismissive view of the poor that might be considered racist and bigoted had it come from a white conservative. Though Congressman Carson presents himself as a devout Muslim, his recent comments leave no doubt as to which “g” inspires his deepest faith and most fervent prayers. Liberals think that people would just fall in love with Obamacare once they got a taste of it but it didn’t work out that way. To read about all of the consequences of Obamacare chronicled in “The Obamacare Two-Year Checkup: More Reasons for Repeal,” click here. It is a time to cut the budget and not increase it. However, it seems we are heading the wrong direction with this budget.